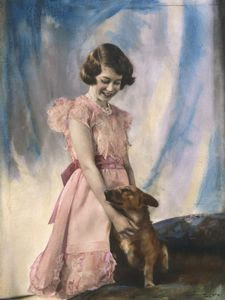 "Elizabeth, Princess of York, the seven-year-old granddaughter of the King of England, has set her fancy on a corgi or Welsh cattle dog, one of a very ancient breed. But, strange to say, this old farm dog variety has come under the notice of the bench show public only during the last ten years. " 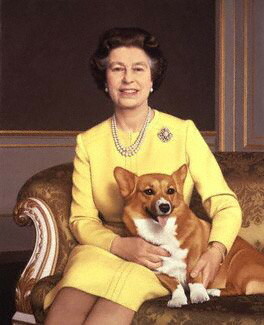 We all know of Queen Elizabeth II's love of the Pembroke Welsh Corgi. For as long as most of us can remember, she has been surrounded by a coterie of beloved Corgis. In fact, it's the Queen who is often credited with popularizing the breed. 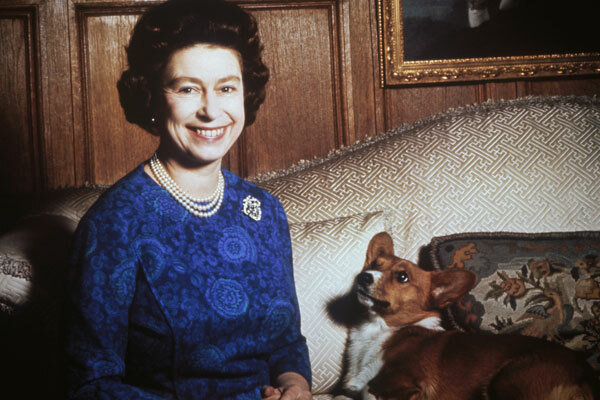 According to a 2007 Telegraph article, the young Princesses Elizabeth and Margaret first fell in love with Corgis after seeing those owned by the Marquess of Bath. In 1933, both girls received their very own Corgis, Dookie and Jane. Dookie, who you can see above with Princess Elizabeth in 1936, was named as such because upon his birth, he was selected to be given to the Duke of York's household. I recently stumbled across the brief, newsy paragraph that leads off this post in the February 1934 issue of House Beautiful. Back in the 1930s and 40s, most of the house and garden type magazines devoted a few pages in each issue to dog news, breeding, and shows. It seems quaint now, but at the time, dog breeding and showing was a rather aristocratic pursuit. It's remarkable, in a way, that after almost eighty years, Queen Elizabeth is still devoted to the same breed. I guess what they say is true: first loves never die. 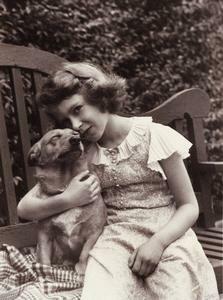 Princess Elizabeth with Dookie, by Marcus Adams, 1938. The Royal Collection © 2011,Her Majesty Queen Elizabeth II. 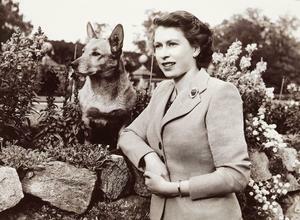 Queen Elizabeth II with her corgi Susan. Studio Lisa, 1952. 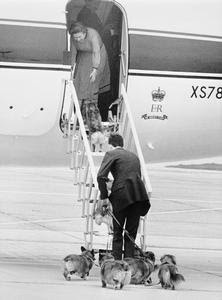 Queen Elizabeth II welcoming her corgis on board, 1984. A portrait of Queen Elizabeth II by Michael Leonard, painted in 1985-86. Riding a bus (or coach as they say there) along the street that borders the garden of Buckingham Palace, I have often seen the Corgis being walked (as one could see over the wall at that height). 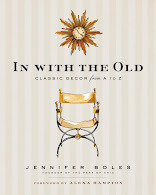 Classicist, I am sure that her Corgis have the life of Riley! awwwww I LOVE Corgi's! Growing up at horse shows it was either Corgis or JRT's running around. Always wanted a corgi - soooo cute. I must agree that she does seem happier in the photos with her dogs than any other I recall seeing of her... cute post dahhling. Thanks for these pics. I am fortunate to be the slave to two lovely Cardigan Corgis. I do have 2 lovely Corgies , my 3th generation. They are fun, smart and good compagny ! I just lost my Corgi,Harlee to Lymphoma. She was an awesome companion and when the time is right,I will definitely get another Welsh Corgi. Dear Rachel, I am so sorry for your loss. Corgis are wonderful dogs.